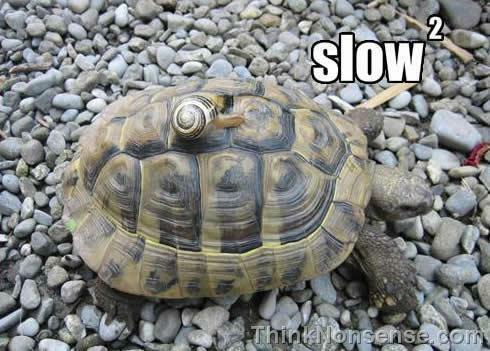 Snail x Tortoise = Slow². Just remember the picture. There is no need to remember this formula. You won’t be passing any exam with this formula. One question comes to mind. Is that snail a jockey?? This seems to be what relativity theorists are working on these days!